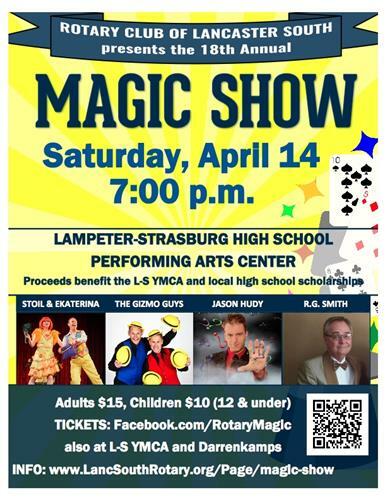 Each year Rotary Club of Lancaster South partners with the YMCA to present our annual Comedy and Magic Show. 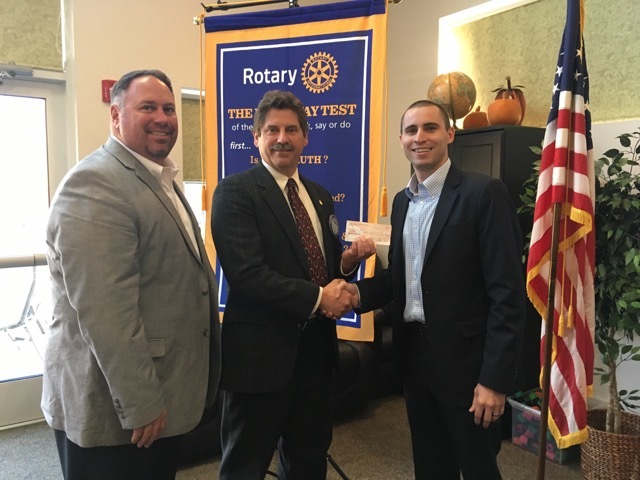 This year President Joe Revelt is proud to present a check to Cody Swords from the YMCA in the amount of $2500. If you have ever only thought of the YMCA as a place to go to get a good workout, check out this link, http://tinyurl.com/jlnuuma, for a list of the many community programs that they operate. The good works they do for the community cannot be understated. Many thanks to the YMCA for their support. Left to right - Magic Show Chair Rip Lawhead, President Joe Revelt, Cody Swords.